The secret is out. I wear glasses. While my prescription is fairly low and I can pretentiously get on day to day without them they are still an indispensable part of my life. I can't get behind the wheel of a car without them, nor can I clearly read the menu when standing in line at Tim Hortons. 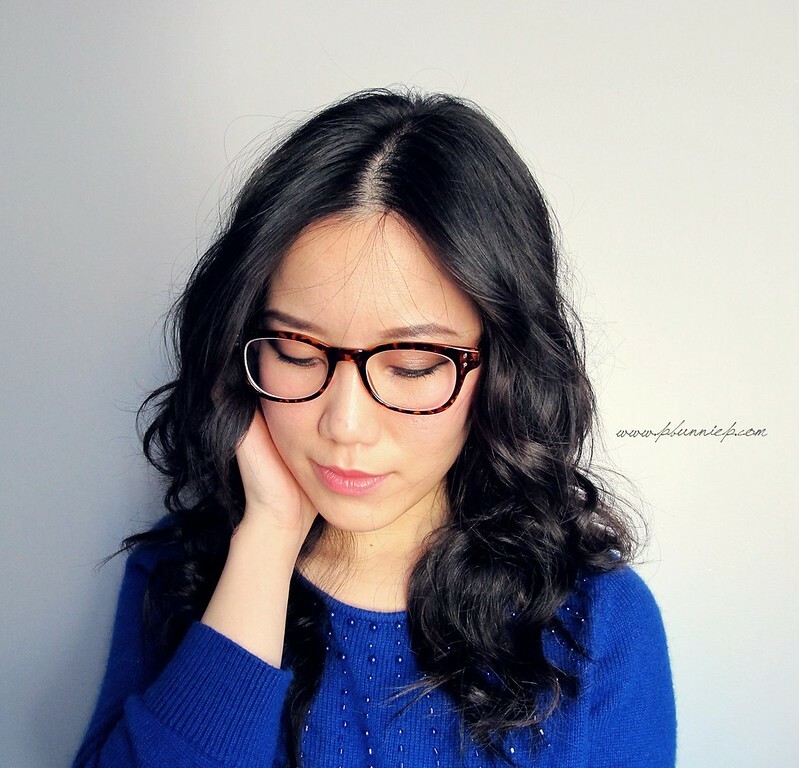 Recently I had the opportunity to try some new glasses* from Firmoo(.com), one of the world's largest online glasses retailers and I knew exactly what I wanted. 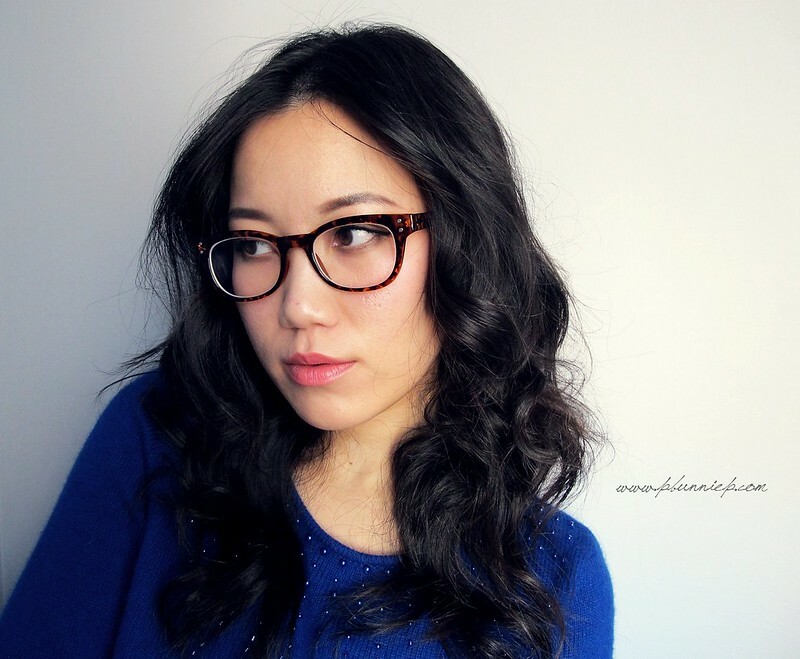 Tortoise shell glasses have been on my mind for a while now but Bobbi Brown's gorgeous Tortoise Shell Collection (2011) sealed the deal for me. 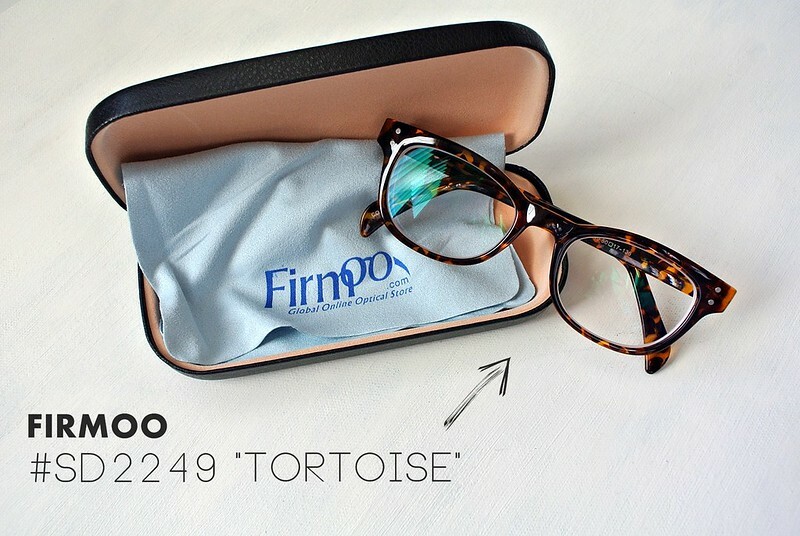 Firmoo had an incredibly large selection of tortoise frames but I decided to go for something a little large and with more impact as my usual frames are very demure. 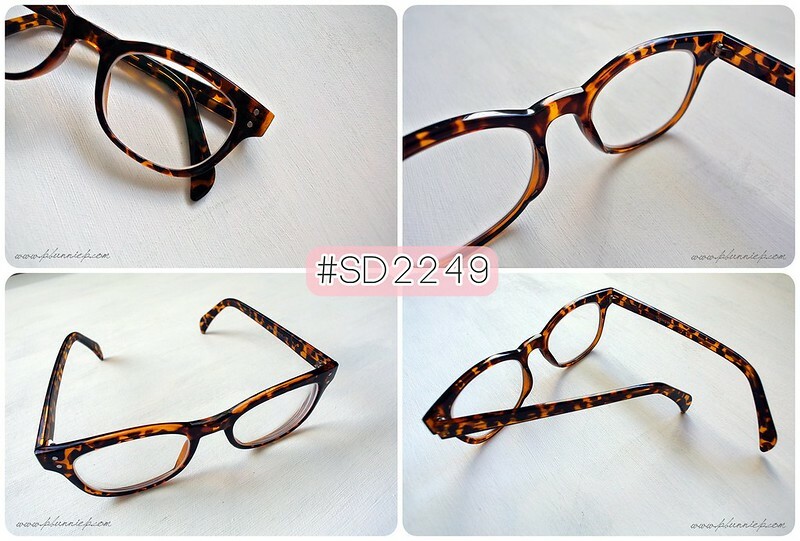 This particular style (#SD2249) has a wayfarer shape to the lens, being a neo-classical trapezoidal design, slightly wider at the top with a small wing and two metal rivet details. It is also available in black for those who prefer a solid frame. 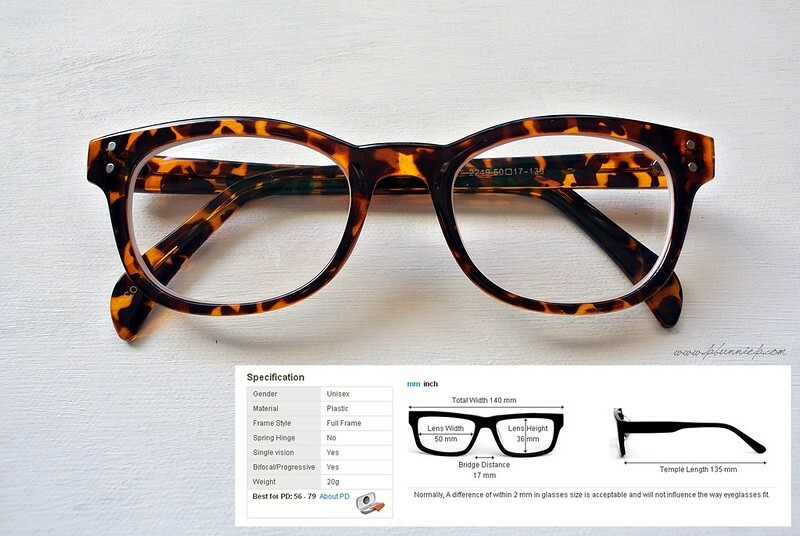 When choosing glasses online, it's very important to read the specifications and measurements for each pair. This is especially important for the width of the glasses and also the bridge distance, this will make sure they sit on your nose without sliding and also prevent the headache inducing pinch when they are too narrow. On me, these glasses were a perfect fit, sitting snug even though I have a low nose bridge and did not slide even when I did a little rock and roll shaking. Though made mostly of plastic, I was very happy with how durable the frame was. 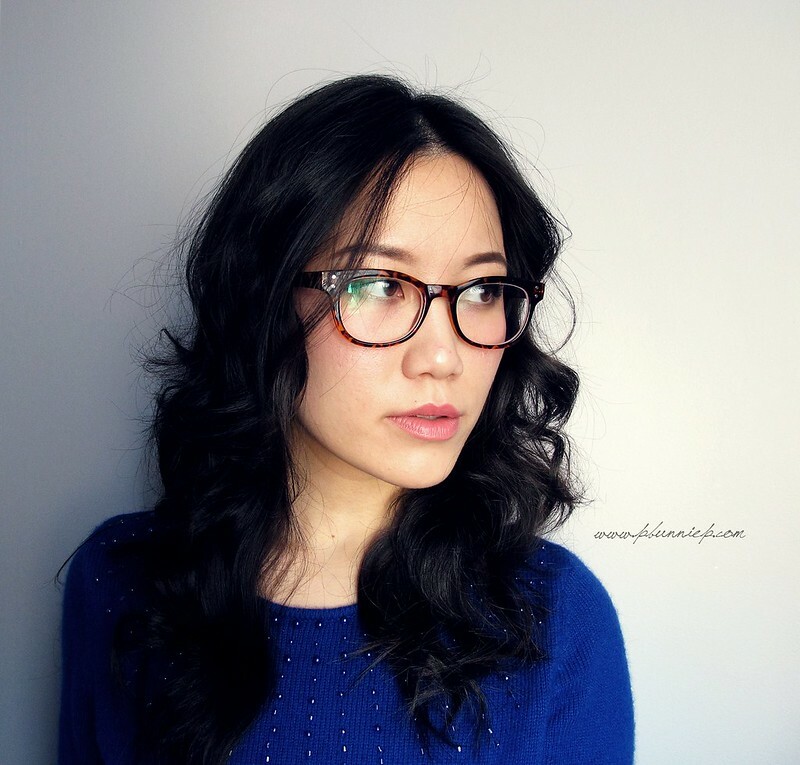 The overall feel of the glasses was light but not flimsy, no screws were loose and both hinges were symmetrical. Crystal clear and extremely comfortable, I'm starting to think I may never have to go pay the hefty price for glasses again at the optometrist. Because my prescription is low, with just a slight astigmatism, my vision needs are quite simple and these glasses look just as clear as my other more expensive pair. There is no visible distortion when walking or looking at near/far objects (a tell tale sign of poor lenses) which was great and I have worn them for an entire day without any problems at all. However while I paid extra to have my lenses tinted with a protective which was also meant to reduce glare, I still found my lenses to be quite reflective in photographs (as you can see below). 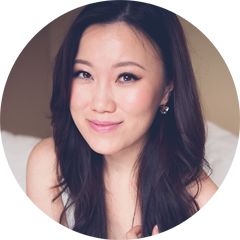 When it comes to the sheer selection of styles available, Firmoo has really impressed me. 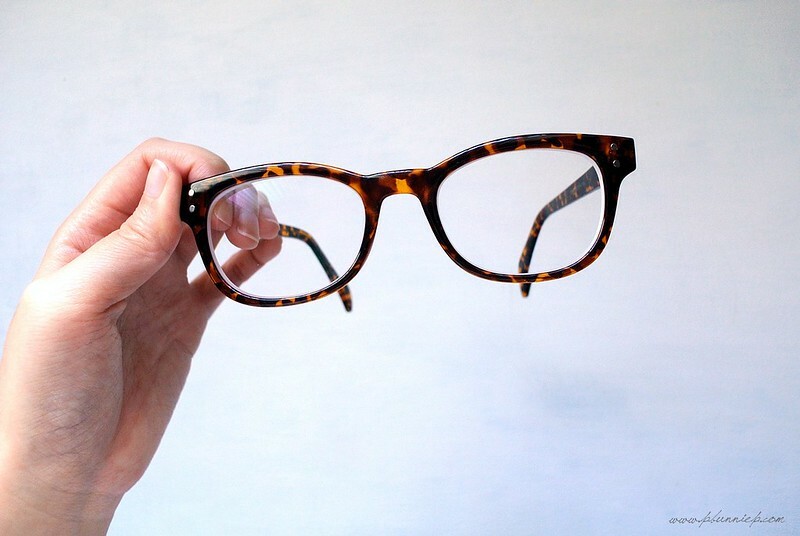 From classic designs to more adventurous colours I think there is truly something for all tastes and many of their frames are unisex as well making them great for men and women alike. Pricing is also fair with many styles starting at $20 - 30 per pair. 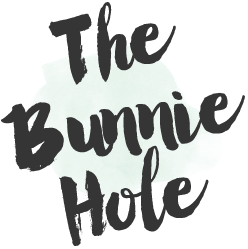 Each listing includes all the measurements you'll need for sizing in an easy to read format as well as product shots from all angles and also customer photos so you can see them on a variety of faces. 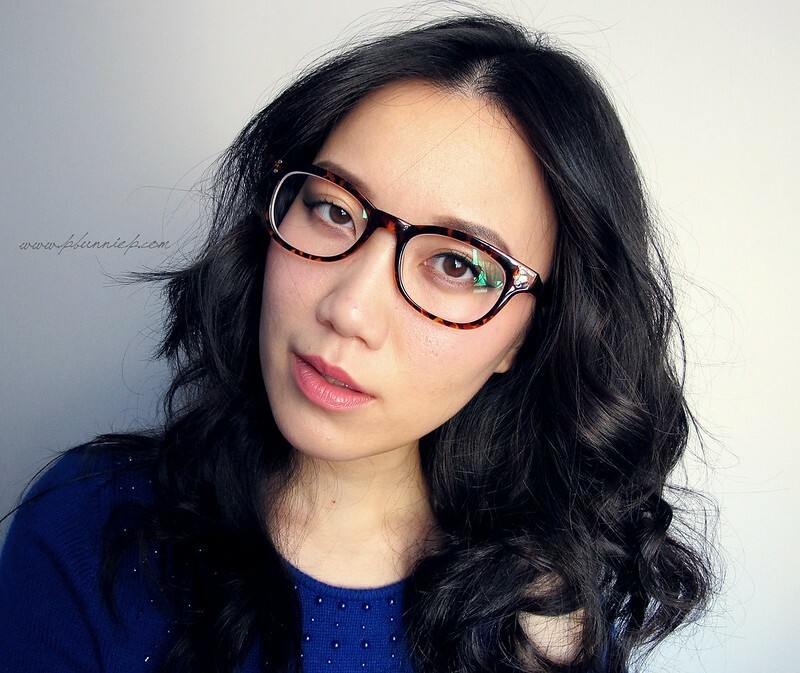 In fact, if you're stuck between a few pairs Firmoo allows you to upload your own photo and virtually try on each style which is what helped me to decide on this pair. Does it get any easier? I don't think so. Shipping came from their warehouse in China but was very quick, taking just over one week to arrive in Canada. While the parcel was double wrapped (the inner layer being a bubble envelope) the rough ride across the world did squeeze the hinge of the lens case, distorting it a little. Nothing was broken inside or out but I would have preferred a boxed parcel for such a delicate item. Firmoo's First Pair Free program allows first time customers to try a pair with no commitment, just tip in for a little shipping and handling. 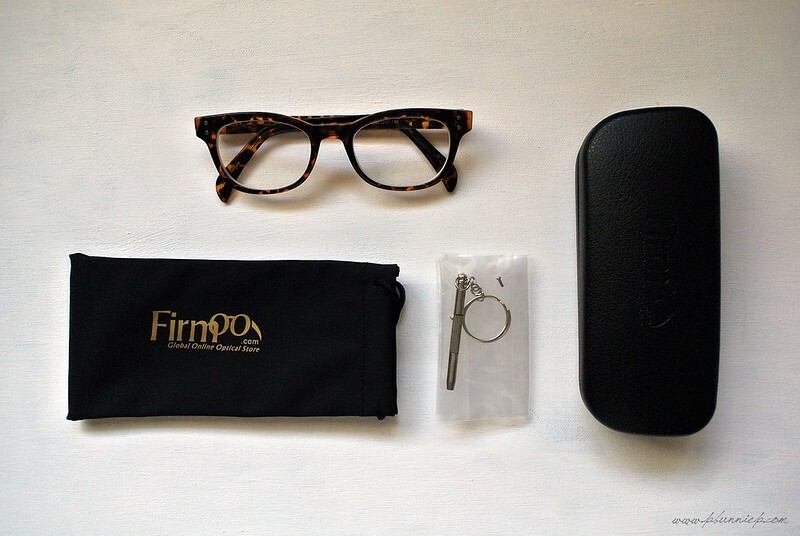 Each Firmoo glasses order comes thoughtfully paired with a hard case, a carrying bag, a cleaning cloth, a mini screwdriver tool and extra screws for adjusting and repairing your glasses if needed. Love this frame! I got the same one!